Rockhaven Homes is pleased to announce two new luxury living communities, Falkirk and Woodall Preserve, in the Dunwoody area! With its small town feel and excellent schools, Rockhaven Homes couldn’t imagine picking a better community to build in. Falkirk offers eight luxurious homes ideal for the modern lifestyle. With full basements, three car garages, media/bonus rooms and four sided brick exteriors, these four to five bedroom homes would be perfect for any family. These homes also include hardwood floors, custom cabinetry, granite countertops and stainless steel appliances. Homes are already selling in this prestigious community, so visit Falkirk today! Pricing starts in the high $600,000s. 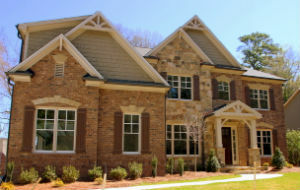 Woodall Preserve has six executive homes available. It is located on a private street that offers many open common areas and outdoor gathering spaces for families to play or just to relax. Woodall Preserve homes definitely have the Rockhaven Home touch, with entertainment styled kitchens, keeping rooms with stacked stone fireplaces, media rooms, full basements, three car garages and four side brick exteriors. Pricing for these homes starts in the high $600,000s.